Four new multiplayer maps and Exo Zombies will finally hit PC and PlayStation fans. 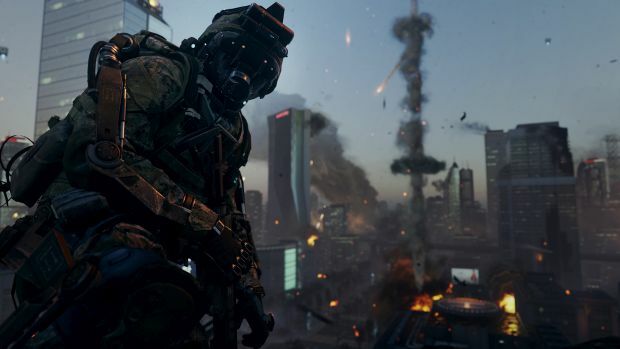 Call of Duty: Advanced Warfare fans won’t have to wait very long to play the new Havoc DLC on PS3, PS4 and PC – Sledgehammer Games and Activision have announced that it will be available on those platforms on February 26th. Havoc features four new multiplayer maps with Core, set in the Gobi desert; Urban, focusing on close quarters warfare; Sideshow, a Wyoming town filled with cartoonish bombs; and Drift, set in the Rocky Mountains and subject to avalanches. There will also be a new weapon with the AE4 and its variant the Widowmaker which functions as an energy assault rifle. The biggest appeal to the DLC is the new Exo Zombies mode which mashes zombies with the new Exo Suit mechanics. It’s already gotten some positive feedback with its new gameplay additions. What are your thoughts on Call of Duty: Advanced Warfare’s Havoc DLC? Let us know in the comments below.